The sclera, or white part of the eye, protects the eyeball. The pupil, or black dot at the centre of the eye, is a hole through which light can enter the eye. The iris, or coloured part of the eye, surrounds the pupil. It controls how much light enters the eye by changing the size of the pupil. The cornea, a clear window at the front of the eye, covers the iris and the pupil. A clear lens, located behind the pupil, acts like a camera lens by focusing light onto the retina at the back of the eye. 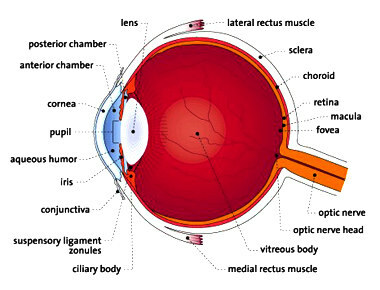 The retina is a light-sensitive inner lining at the back of the eye. Ten different layers of cells work together in the retina to detect light and turn it into electrical impulses. Need to wear concave lenses. 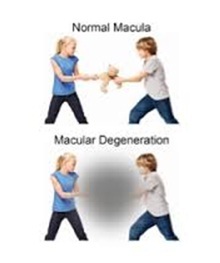 Hyperopia is refractive error in which light rays are focused behind instead of on the retina. Long sighted people are able to see images in the distance more clearly than the can see images at close. Need to wear convex lenses. Presbyopia occurs in all adults after 40 years as part of the ageing process, inability to focus on near objects. Presbyopic patient needs to wear Bifocal or Progressive glasses. When the cornea has different curvature in different areas the condition is known as astigmatism. The images appear blurred & distorted both for distance & near. Corrected with cylindrical lenses. Infections- bacterial, viral and parasitic. Antibiotic and steroids eye ointment. It is acute infection of oil glands of the eyelids. Patient presents with painful swelling on the lids. Treatment includes hot fomentations & antibiotics. 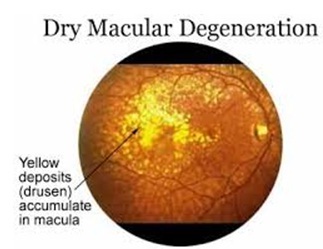 Pterygium is a degenerative disorder of eye, common in dry & dusty environment. 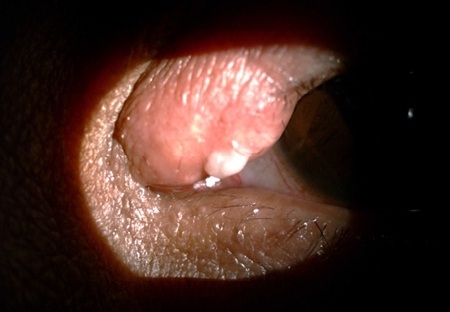 In this condition a fleshy growth occurs in conjunctiva & grows over the cornea. It can cause irregular corneal astigmatism. Operate if it invades the cornea or else patient can be kept under observation and prescribed some artificial tear and decongestant drops. In case of operation excision is done & the sclera is grafted with conjunctival graft to prevent recurrence. It is just like a micro plastic surgery. In patients with nerve palsies due to diabetes or hypertension we like to wait & watch 3-4 months and then proceed with treatment. Glaucoma is the second most common cause of blindness. In india there is 12 milion affected people with Glaucoma. 90% of the people of Glaucoma are unaware of their glaucomatous disease when first diagnosed. Glaucoma is as disease that damages the optic nerve by raising the pressure in our eyes which can lead to gradual or sudden loss of vision. Glaucoma damages the optic nerves causing blind spots to develop in areas of vision. Assessment of optic nerve by photography, HRT III, OCT, GDx VCC. SLT (Selective Laser Trabeculoplasty) is a non invasive laser treatment to reduce the eye pressure. Ideal candidate for SLT is a patient with primary open angle Glaucoma. Done in patient non compliant to medicines or when pressure is not controlled with multiple eye drops. Trabeculectomy: it is a filtration surgery done to create an opening for the easy drainage of aqueous fluid thus reducing the eye pressure. It does not help to recover the vision which is already lost. Shunts & tubes: done in cases of refractory glaocumas. Cyclo cryo therapy: done as a last resort treatment for patient in whom conventional therapies fail. 1) Glaucoma can only be controlled not cured. 2) Vision once lost is not recovered. 3) Early detection is the key to preserve sight. 4) Persons above 40 years should undergo periodical eye examination for early detection of Glaucoma. Cornea is a transparent front part of the eye. Cornea refracts the light entering the eye. Ocular trauma & corneal ulcer are significant causes of blindness in developing countries. 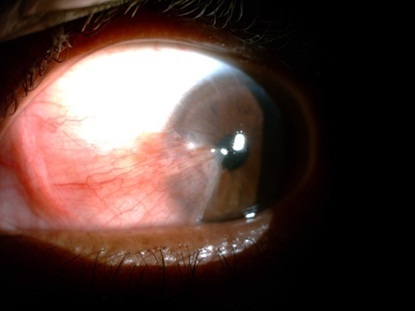 Infection of the cornea leading to damage of the epithelium is known as keretitis. 5) In advance stages impending perforation, bandage contact lens & cynoacrylate glue therapy are done. 6) Therapeutic Corneal transplantation is done in perforated ulcer. Thinning and gradual bulging outward of the central cornea is known as Keratoconus. It affects one in every 2000 Indians. More prevalent in 2nd & 3rd decade of life. There is change in refractive status of the eye leading to distorted & blurred vision. Keratoconus may lead to acute hydrops according sudden vision loss. It is a procedure in which diseased cornea is surgically removed and replace with the healthy donor cornea. 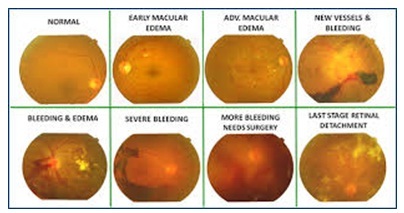 Various Vitreo Retinal surgical and laser approaches can restore, preserve and enhance vision for many retinal conditions of Age-related macular degeneration, Diabetic Retinopathy, Diabetic Vitreous Hemorrhage, Macular Hole, a Detached Retina, Epiretinal Membrane. Retina is the light sensitive layer of the eye. It acts similar to the negative film in a camera. 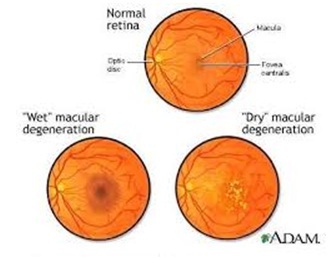 Wet ARMD – there is growth of abnormal blood vessels under the Retina leading to severe loss of vision. 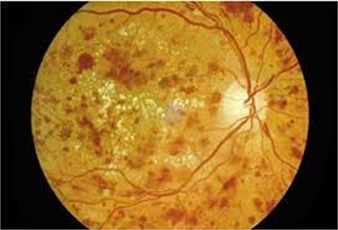 Retinitis pigmentosa is a group of inherited degenerative disorder of the retina due to damage of photoreceptor cells. Patients experience progressive vision loss, night blindness & peripheral field loss. In later stages central vision also gets affected. There is no specific cure for RP. Low vision ads and nutritional therapy with vitamin A and Omega 3 rich diet may be beneficial. Recent advances in the direction of retinal implants are being conducted. 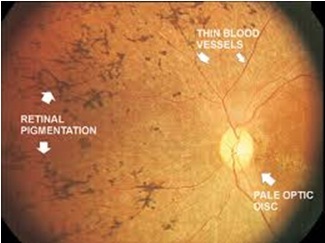 Separation of the Retina from choroid is known as Retinal Detachment. Q: What is the importance of diabetic retinopathy? A: Diabetic retinopathy affect the eye sight and is a significant cause of preventable blindness in the working population. more than half of the population suffering from diabetes are at a risk of vision loss. the patient is not aware of the disease until it is severe. 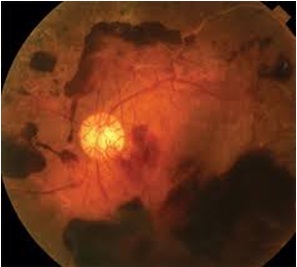 Q: What are the types of diabetic retinopathy? Q: What are the symptoms of diabetic retinopathy? A: Diabetic retinopathy usually do not cause vision loss until it has reached advanced stages. it is best detected by examining the retina by indirect ophthalmoscopic examination. consult an ophthalmologist immediately if you experience sudden floaters or sudden vision loss. Q: What to do and what not to do? Immediate consultation if you experience problem in your eye sight. Drooping of the upper eyelid is known as blepharoptosis. Occurs in congenital and acquired forms. Treatment- Surgery is usually successful in restoring the normal appearance of lid. It is done as a day care procedure. In children delayed surgery can lid to amblyopia. Out turning of the eyelid margin is known as Ectropion. Causes include ageing, scar on the eyelid skin, paralysis of facial nerve. Treatment Depending of the degree of Ectropion, various surgical procedures are carried out. In turning of eyelid margin is known as entropion. Causes include ageing burns of the conjunctiva, as a congenital disorder. Treatment is mainly surgery and involves tightening of lids.